Boulevard Cycle Covers are constructed from heavy-duty polyester with special ClimaShield fabric to help prevent fading. Features include fully taped seams with side vents allowing the cover to breathe, protective interior windshield liner and heat shield allows for use immediately after riding. 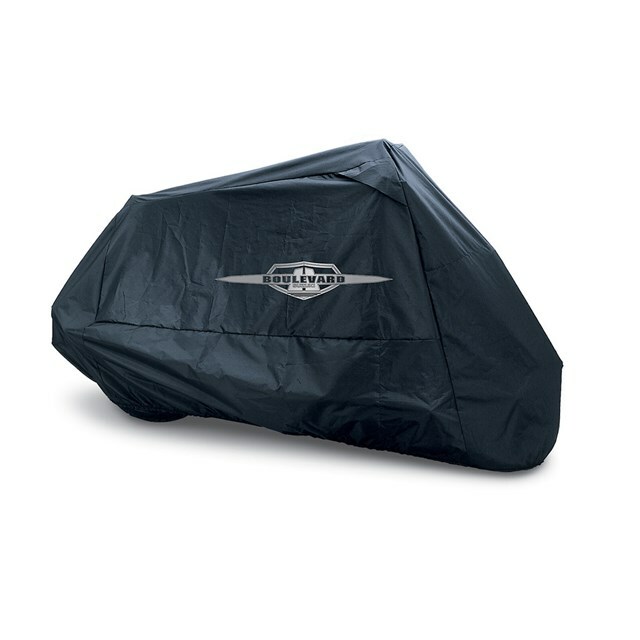 Each Suzuki Cycle Cover integrates an inside pocket for the optional motion sensitive alarm (990A0-66009).